Fishing is a worldwide business wherein the demand is also growing and so is the business. And, this is the reason why quality control startswithprocessing. Apart from handling, fish processing operation utilises a quality control and management system. This is to ensure that the end products are of high-quality andiscompliant with the Food Standard Agency policy. One of the most utilised technologies in fish processing plantsis using anindustrial computing system. This device is integrated to the applications being used in the fish processing operation. So, expect that the production is more efficient and faster when compared to traditional method of fish processing. Now, a fish processing plant bears a challenging environment. Potential causes that may damage a computing equipment also exist in the working area. Can an industrial-grade computer perform its functions efficiently? 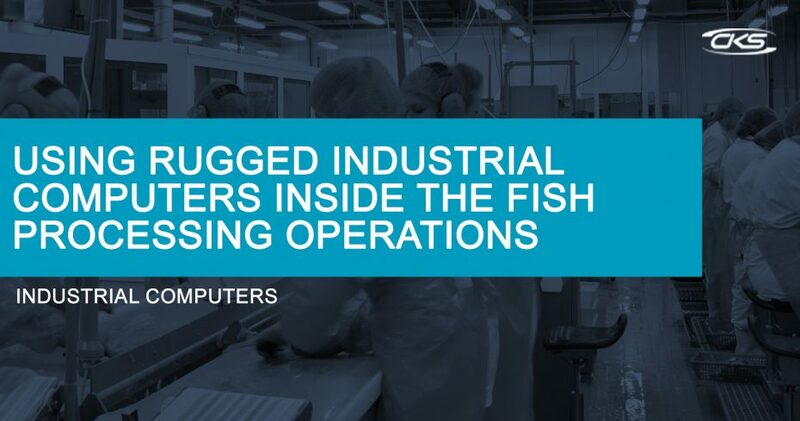 Let us explore the capabilities of industrial PCs for fish processing plants. Fish processing involves two (2) major division, which is handling and separation of fish for alternate uses. In handling division, the catchissorted based on its fish types and quality then, transferred to its containers. This procedure can all be performed by using an industrial computing device with an installed automated system. This is to avoid heavy manual lifting and rough handling of the catch. For the process of separation of fish for its alternate uses, industrial PCs can also be useful in the process. A reliable computing device can have a compatible system processor. This is to make sure that data is received, stored, and analysed before it is transmitted to a certain application. Could this device bean ideal computing solutionfor fish processing operations? Read more unto this blog and understand the key features of industrial PCs. What are the key specifications needed for a reliable computing technology in modern fish processing? Here are some of the best features of industrial-grade PCs that can optimise the fish processing. Note that fish processing plants have extreme work environments. Any equipment is exposed to water, moist, dust, or dirt. And, industrial computers are no exception. But, the best advantage of this device is that it features long-term availability. This device is built with industrial-grade components and designed to perform industrial applications. Thus, this computing equipment can last for a long period of time. Modern fish processing is using advanced applications like anautomatedsystem. Hence, it requires advanced computing technology, too. An industrial PC is built with a reliable system processor. Expect that advanced applications can be installed and utilised on this device. What’s more, this device can also be integrated intothe existing system used in fish processing. Rest assured that this computing device can perform efficiently. Industrial computers do not require major modifications. It can be installed the same as commercial PCs. Plus, it does not even require huge spaces as it can also feature thin client terminal setup. Therefore, it is easy to install and at the same time, saves space. When it comes to installing and integrating a modern application, it is essential to get the best in the industry. Industrial computers are incredibly durable, environmentally stable machinery for fish processing.Find the best computing system and start setting up an industrial panel PC today.